With Earth Day right around the corner (this Thursday, April 22), there's no better time to make a positive change, big or small, for a healthier world. Not sure what you can do? Cascadian Farm is here to help. Dedicated to organic goodness since 1972, Cascadian Farm products are grown without the use of synthetic pesticides, chemical fertilizers or genetically engineered ingredients. 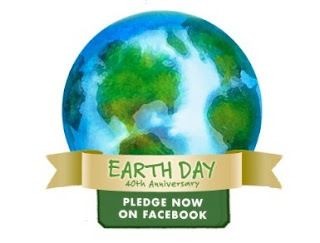 To help celebrate Earth Day's 40th anniversary, Cascadian Farm wants you to join in by pledging to follow a few eco-friendly tips on their Facebook page. There are eight different pledges available, ranging from reusing clothes to practicing food planning to reducing your speed while driving on the highway, with one for every lifestyle. For every person who signs a pledge until May 31, 2010, Cascadian Farm will donate $1 (up to $40,000 but with a minimum of $20,000) to the Organic Farming Research Foundation, which fosters the improvement and widespread adoption of organic farming systems. Your pledge will help to create a cycle of positive change towards a more sustainable future. Good for you and good for the the earth - what better way to celebrate Earth Day? So head over there now and make a pledge... and then come back and tell me which one you chose! Stay tuned for a Cascadian Farm review and giveaway coming up in the not-so-distant future as well! when is earth day again? That seems like important info, doesn't it, Jenny? :) It's this Thursday, April 22! I just love that they're doing this! I signed up for the highway pledge!